The alcohol survey conducted in Lhuentse by the health sector to determine the impact of Alcohol Harm Reduction Pilot Project conducted by Mental Health Program, Ministry of Health in all the eight gewogs, has been found that alcohol consumption reduced from 29 percent in 2012 to 13 percent in 2018. This is a reduction by more than 50 percent. The senior District Health Officer in Lhuentse, Ugyen Dorji said that this can be attributed to the National Policy and Strategic Framework to Reduce Harmful Use of Alcohol 2015-2020, where a range of policy strategies that were shown to be effective in reducing alcohol-related harm was adopted by the government, which includes making alcohol less affordable and accessible, and deterring drunk-driving. The framework also sought a concerted coordinated government approach, including substantial improvement in the implementation of existing alcohol regulations in all 20 Dzongkhag to reduce the harmful effects of alcohol in the nooks and crannies of the country. “The survey was also carried out to study the types of alcohol consumed and also to determine the spending by the people of Lhuentse on alcohol drinks. It was conducted by the health workers of 14 BHUs and Community Health Unit of Lhuentse hospital in 2018. The data were collected through structured questionnaires and interviews with the clients,” said Ugyen Dorji. Ugyen Dorji also added that Lhuentse Dzongkhag stands 4th in terms of alcohol consumption among the 20 dzongkhags which indicated that 29 percent of the people in Lhuentse are drinking alcohol, which was based on the National Health Survey, 2012. It has also been observed that children as young as 8 years old in the rural areas drink local ara from whence they develop a lifelong taste for the beverage. “Both of my parents drink ara and I also gradually acquired a taste for it after few sips here and there. They do not object to it and find it normal,” said Phuntsho, who is 12 years old now. Most of the villagers in Jarey gewog acknowledged that the number of alcohol consumers in their community has decreased by many folds as compared to earlier days, but they also admitted to the fact that there are a few who are very much dependent on alcohol in order to start their day. For instance, Kezang, 54 said that he needs to start his day at 5 in the morning with a cup of local ara or else it is not complete. Ugyen Dorji said that since alcohol is the root cause of health and social problems in communities and has an impact on the life of every individual, family, and society as a whole- the need was felt by all the Local Leaders to tackle the issue which is why it was tabled in the third session of DYT. 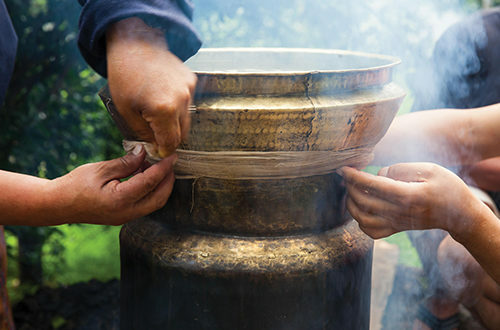 “It was decided and resolved that to welcome a guest, Tshogchang will be replaced by tea and if at all, then a maximum of 2 bottles of Ara should be presented just to keep the age-old tradition alive. As decided by the members of DYT, every local leader in consultation with their respective people came up with rules that suit the tradition and culture of their community to reduce the consumption of alcohol as far as possible,” said the senior District Health Officer. 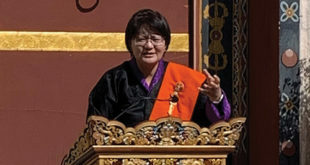 The findings by the team also stated that the reason why Lhuentse has been revealed as one of the Dzongkhags that have high poverty rates in the National Population and Housing Census 2017 could be due to higher alcohol consumption, which meant that people made unnecessary expenditure on alcohol. Ugyen Dorji, said that the findings by the team stated that the possible reason for the reduction in the alcohol consumption as compared to past could be due to behavioral change of people that was driven by active awareness and pilot projects on the ill effects of alcohol in the Gewogs, Chiwogs and community level. 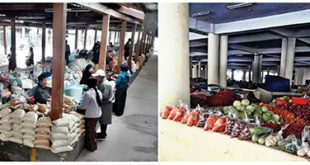 According to the health statistics, usually, 30-40 Alcohol Liver Diseases are admitted in Lhuentse hospital every year. Likewise, there were 33 Alcohol Liver Disease (ALD) cases admitted in the hospital in 2017 and out of it, 24 percent (8 cases) were referred to Regional Referral Hospital, Mongar and JDWNRH, Thimphu, of which 21 percent of these patients lost their life. According to the Annual Health Bulletin 2018, mortality trends and main causes of Alcohol Liver Disease (ALD) is the leading cause of deaths in Bhutan. However, the total number of deaths related to alcohol has decreased from 190 in 2016 to 166 in 2017 and the incidence of alcohol liver diseases per 10,000 populations has decreased from 46 in 2016 to 35 in 2017.